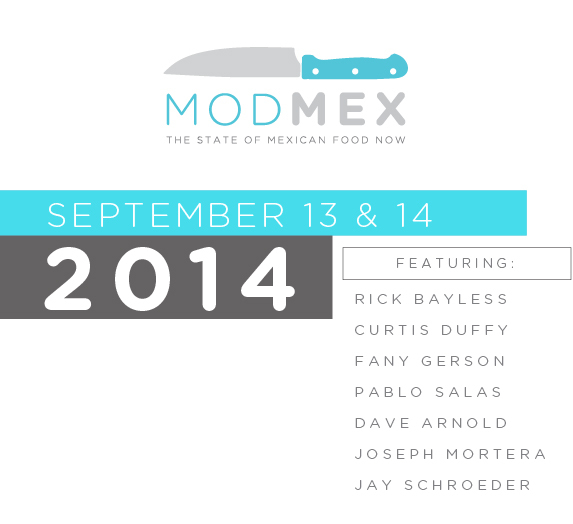 Today we announce ModMex 2014, a follow-up to last year’s (very successful) conference of the same name. This year, we’re tackling the same questions—What does Mexican food look like in 2014? Where is it going?—but we’re doing it with new minds. Chicago’s Curtis Duffy, chef/owner of Grace, will share his take on Mexican food; he’ll be joined by New York’s Mexican sweets expert (and doughnut maker) Fany Gerson. Rounding out our chefs will be Pablo Salas, who will join us all the way from Toluca, Mexico, where he runs the outstanding restaurant Amaranta, and, of course, Mr. Rick Bayless. But wait just a minute—we’ve got more minds! Because this year, we’ve added a cocktail portion to the conference called ModMix. Joining us to talk Mexican cocktails (no margaritas allowed!) is Dave Arnold, the mastermind at New York’s Booker and Dax. Mexico City bartender Joseph Mortera will be in the house to show us how DF shakes. 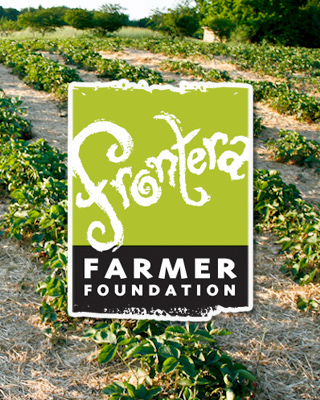 And Frontera’s own Jay Schroeder will represent, too. Tickets to all ModMex/Mix events are available on Kendall’s ModMex website, and they’ll sell out quick…so if you want to be part of the Mod Squad, you’ll pick up tickets now.